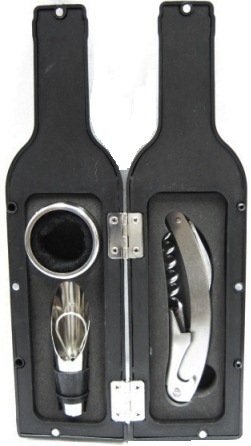 3-piece beverage gift set includes drip ring, pourer and corkscrew. Stored in an easy-open plastic bottle. Great for tailgating!